What is the biggest threat to peace and development in Africa? It’s not terrorism, drought, HIV/AIDS or malaria. Africa’s biggest threat is corruption. Corruption is also Africa’s biggest terror risk, and its biggest brake on development. It is arguably one of Africa’s biggest killers. Yet the moral and financial investment in fighting downstream consequences of corruption – including terror, drug trafficking and organized crime – is much greater than the investment in stopping graft. Too many developed countries tolerate the export and enabling of corruption by their corporate and individual citizens. Controlling corruption should be Africa’s number one security priority. Despite well-worn stereotypes, Africa does not compete in corruption’s premier league. But the effects of corruption are often much more devastating in Africa, due to institutional weakness and fragility of states and cities. What separates thriving countries from failing ones is the strength and integrity of their institutions. Corruption devastates Africa not only because it bleeds the fiscus, but because it undermines institutional capacity. This in turn destroys trust and the social contract that lies at the heart of sustainable peace, security and stability. In a country like the UK, corruption may impact the fiscus without affecting the society’s overall coherence and success. In developing countries, corruption halts the flow of medicines and school books, enables state capture by organized crime, erodes the rule of law, and contributes to conflict. There is a well-established stereotype of African leaders using ideology and historical legacy to mask corruption and greed. But things are changing. In the post-ideological world, a new generation of African leaders is taking a different approach to the failed models of their ageing and out of touch predecessors. These leaders came to power on anti-corruption tickets. They understand the need to partner with the private sector to promote investment and innovation. They know that increased transparency and accountability are prerequisites for this. But there are two sides to this coin. As African leaders get their own house in order, developed nations should support them by ensuring the world’s poorest countries do not bear the injustices and excesses that can be a downside of global capitalism. Africa’s many forms of corruption are matched by the multiple ways that Western companies are complicit in them. Dodgy arms deals and illicit financial flows would not succeed were it not for the legions of international lawyers, banks and accountants who bend the rules to give corrupt practices a veneer of legality. A myriad of technically legal actions add up to massive theft. This is a conundrum that leaders meeting this week in Rwanda at the World Economic Forum on Africa, and at the UK Anti-Corruption Summit in London. It’s an opportunity to fix blind spots in the global anti-corruption architecture, and for governments to commit to responsible investing in fragile economies. David Cameron’s government has said the London summit will deliver practical commitments to expose and drive out the culture of corruption. Documents circulated by UK authorities show a determination to increase access to information on beneficial ownership of companies, and to advance fiscal transparency and accountability. The UK is also proposing to launch an Anti-Corruption Innovation Lab and create a community of anti-corruption innovators from government, business and civil society. This is all to be welcomed. The World Bank is expected to scale up its role in tackling illicit financial flows, with increased technical assistance on anti-money laundering and asset recovery. Also, the UN is expected to present proposals for stronger delivery on the UN Convention against Corruption. 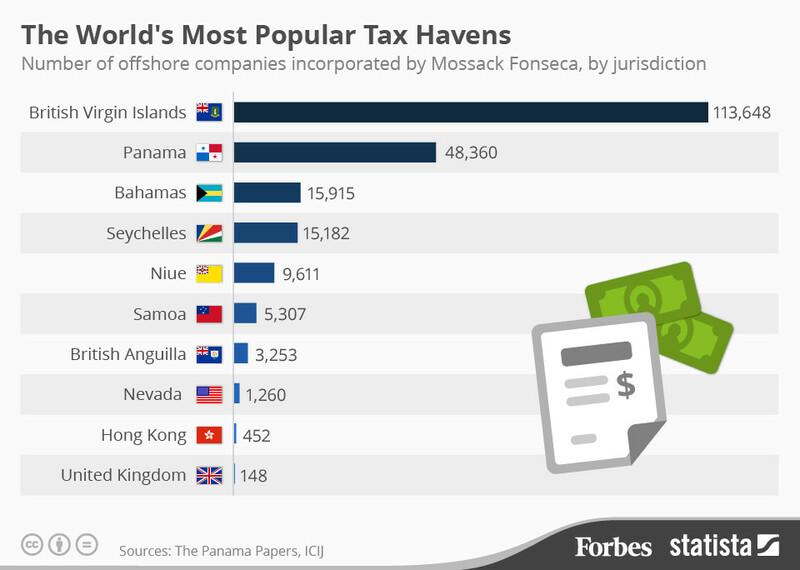 What leaders fighting corruption might like to consider is that the Tax Justice Network ranks the UK in the world’s top 20 tax havens – something confirmed in the recent Panama Paper leaks. Gabriel Zucman of the London School of Economics recently estimated that $7.6 trillion of global cross-border wealth is being held in tax havens. This figure includes only financial assets. If it also accounted for assets such as art, jewellery and property, it could be two or three times that amount. According to Oxfam , 30% of rich Africans’ wealth – a total of $500 billion – is held offshore in tax havens, costing African countries an estimated $14 billion a year in lost tax revenues. Africa loses more than $50 billion annually to illicit financial outflows. A joint report by the African Development Bank and Global Financial Integrity found that up to 65% of this lost revenue disappears in commercial transactions by multinational companies . Much of this crookery would be impossible without the help of those able to deploy a range of financial instruments to make corruption look credible. HSBC, for example, knowingly facilitated banking for international and African blood diamond traders, and in 2006 banked $10 million for a South African arms dealer. For too long there has been a tacit acceptance of illegal money passing through global systems. It’s time for global leaders to walk their anti-corruption talk. The OECD Anti-Bribery Convention is a good place to start. It needs to be more rigorously monitored and enforced because its signatories are responsible for approximately two-thirds of world exports and almost 90% of total foreign direct investment. The convention, adopted in 1997, requires each signatory to make foreign bribery a crime for which individuals and enterprises are responsible. Yet according to Transparency International more than half of the 41 OECD anti-bribery convention countries have violated their obligations by failing to investigate or prosecute any foreign bribery case over the past four years. Transparency International’s 2015 progress report shows that only four of 41 signatories are actively investigating and prosecuting companies that bribe foreign officials. Six countries have moderate enforcement, while another nine have limited enforcement. The remaining 20, accounting for 20% of world exports, do little or nothing to ensure their companies and individuals don’t export corruption. This is simply not good enough. Ending corruption will require greater political will and ethical leadership than we have witnessed to date. But recent developments provide a glimmer of hope. Indeed, as Africa’s middle class expands, and demands for transparency and fairness grow stronger, Africa’s promising new leaders will have no choice but to take corruption seriously. Hopefully private sector and Western leaders will do the same.